A game of Helios Expanse places you in control of an interstellar civilization, competing for galactic supremacy against its rivals. You colonize habitable planets, research technologies, and build a military with which to wage war. The civilization that colonizes the most planets emerges victorious and rules the galaxy. 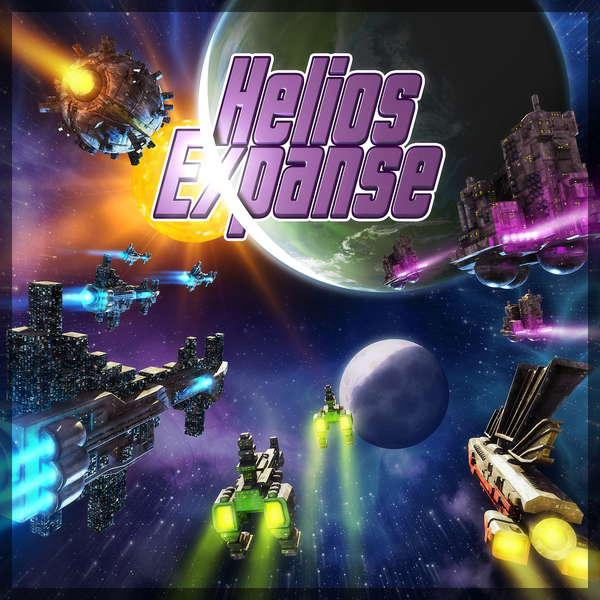 Helios Expanse was inspired by a vision to develop a board game that provided a 4X play experience in under sixty minutes, and the play experience was crafted to be as satisfying for the traditional 4X gamer as it is for the casual gamer. This vision drove a specific set of design goals that would serve as the foundation for the game design. First and foremost, the game was created around the goal of being teachable in less than five minutes. This specific goal drove a streamlined decision tree resulting in simple, but tactical player choices turn to turn. An emphasis was placed on player interaction to preserve the game play tension typically associated with a 4X play experience. Ultimately, this combination of foundational design goals (along with a few others) led to an action/movement programming game mechanism that created just the right amount of tension turn-to-turn. At its core, Helios Expanse is a highly interactive game with simple, but tactical decisions and cohesive, working mechanisms.